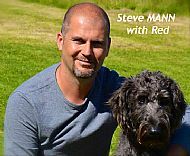 Founded by Steve MANN, The Institute of Modern Dog Training has trainers working across the UK and internationally, who offer a professional service to dog owners. All members of the IMDT adhere to a code of conduct so that you can be confident only modern, reward-based methods will be recommended. Click here for details. Each member has passed a rigorous practical and theoretical assessment, accredited by The Open College Network, and undertake continuous professional development to stay up-to-date. IMDT trainers work with you and your dog to improve communication and help you to achieve their potential. If you are looking for either a training class for your puppy, adult dog, activities to share with your pet or seeking expert advice on behavioural issues, you can be confident in choosing a trainer using a kind and ethical approach. 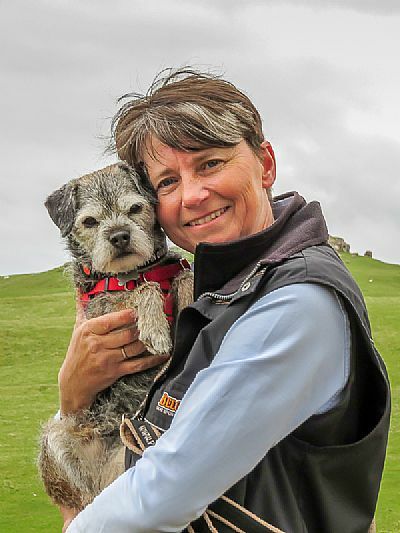 With a lifelong passion for dogs, wildlife and the west coast of Scotland, after some 20 years as a holiday destination the Isle of Mull has become home to Moira and her partner since 2012. Their Border Terrier, Puffin shared 12 precious years with them until her sad passing in January 2018. Another Border pup is very likely to once again make the family complete but right now, Puffin's memory lives on. Fulfilling a dream to live amidst beautiful and dramatic scenery, populated by magnificent birds of prey and their particular favourite, Otters, Moira is able to give you the opportunity to share what the island has to offer and help you to get the most from your pet. Having qualified as the first full member of the IMDT, Moira continues to develop her love and understanding of dogs, always keen to learn and keep an open mind. Moira is a proud member of Sarah WHITEHEAD's 'Inner Circle' the "first and only online mentoring & CPD platform bringing together and supporting trainers, behaviourists and aspiring canine professionals". As a subscriber she has "exclusive, unlimited access to a select library of information, edcuation and resources, formulated from the culmination of over 27 years experience from the UK's most qualified and experienced animal behaviour specilaist". In addition, Moira is licensed as a 'Talking Dogs Scentwork' (TDS) Accredited Trainer able to deliver workshops, classes and bespoke training in accordance with TDS methodology.